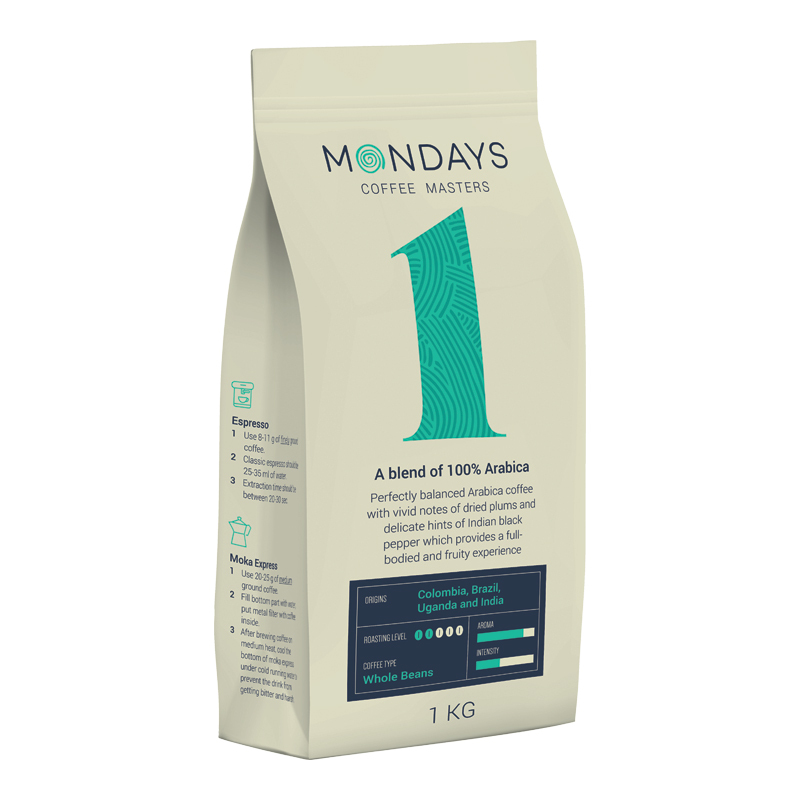 • MONDAYS Nr.1 - easy roasted 100% Arabica coffee beans. Well balanced Arabican coffee with intensive nuances of dried plums and with mild nuances of black pepper. Fruits bouquet aftertaste.